2014-02-14 Happy Valentine's Day, Happy Chinese Valentine's Day! 情人節快樂, 元宵節快樂! Do you know 2014-02-14 is a very special day, the Western Valentine's Day and Yuanxiao Festival (Chinese Valentine's Day) fall on this very same day! The Yuanxiao Festival falls on the 15th day of the 1st lunar month, usually in February or March in the Gregorian calendar. As early as the Western Han Dynasty (206 BC-AD 25), it had become a festival with great significance. This day's important activity is watching lanterns. Also this day is celebrated by individuals seeking for a romantic partner, akin to Valentine's Day. Till today, the Yuanxiao Festival is still held each year around the country. 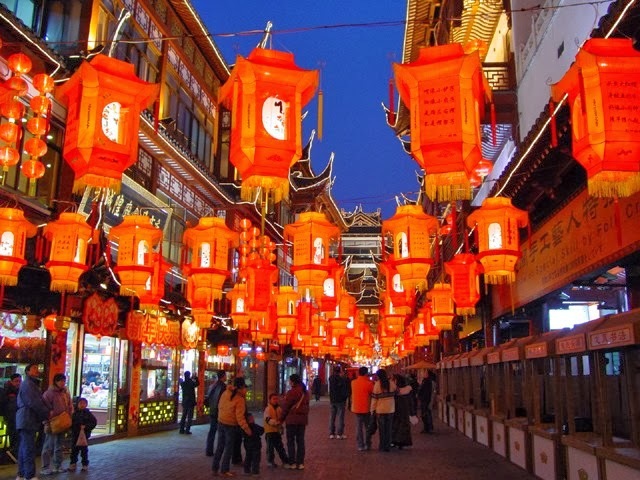 Lanterns of various shapes and sizes are hung in the streets, attracting countless visitors. Children will hold self-made or bought lanterns to stroll with on the streets, extremely excited. "Guessing lantern riddles"is an essential part of the Festival. Lantern owners write riddles on a piece of paper and post them on the lanterns. If visitors have solutions to the riddles, they can pull the paper out and go to the lantern owners to check their answer. If they are right, they will get a little gift. The activity emerged during people's enjoyment of lanterns in the Song Dynasty (960-1279). As riddle guessing is interesting and full of wisdom, it has become popular among all social strata. People will eat yuanxiao, or rice dumplings, on this day, so it is also called the "Yuanxiao Festival. "Yuanxiao also has another name, tangyuan. It is small dumpling balls made of glutinous rice flour with rose petals, sesame, bean paste, jujube paste, walnut meat, dried fruit, sugar and edible oil as filling. Tangyuan can be boiled, fried or steamed. It tastes sweet and delicious. 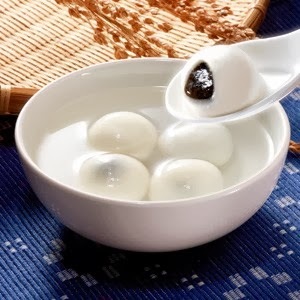 What's more, tangyuan in Chinese has a similar pronunciation with "tuanyuan”, meaning reunion. So people eat them to denote union, harmony and happiness for the family. Nowadays some local governments will even organize a fireworks party. 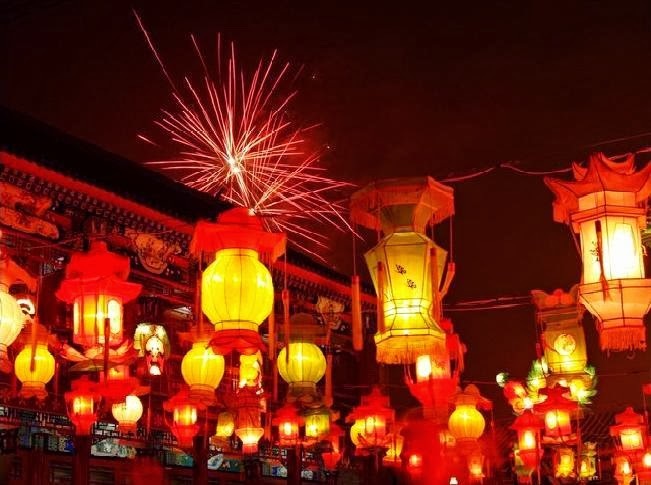 On the night when the first full moon enters the New Year, people become really intoxicated by the imposing fireworks and bright moon in the sky.